Ragnarok Productions is proud to present . . . PLEASE BE ADVISED: Our show makes use of strobing light effects and a fog machine. The Mineola Twins, as we are staging it, is intended as a study in reflections. To my mind, author Paula Vogel uses argument by absurdity as she gives the core characters in the play an infinite row of mirrors in which to see themselves- and in which the audience might at times see themselves reflected also. In our lives, we learn more about ourselves in the faces of our siblings (and parents), of our lovers, and of our children. We see our image in them in how they espouse us and in how they deny us. They may show us ourselves in either the positive or negative space of the image we see of them. Ragnarok sought to tell this story because of the increased polarity of a world of individuals that have a limitless pulpit from which to voice their opinions. A world of red and blue, of white and black, of pink and patriarchy, of black lives and blue lives, and so on. We do not seek to devalue any cause we mentioned, except in saying that we might have more to build on if sometimes we choose to be kind instead of correct. We might learn more about what we have in common. One other trick the author pulled was walking among the characters on the stage. She includes herself in the reflections of the Twins, maybe in hopes that you will give yourself permission to do the same. Vogel gives the line to the character in whom she’s most closely reflected- (keep an eye out for her- she’s the one character not wearing a wig). “Oh, and who made you the prude all of a sudden? Who brought home the leather straps from that little women’s boutique… and broke the straps the very first time we tried-”. “I think we just need to spend more quality time with Ben.” With the ones we love. Those encapsulate this play for me. The North and South Poles are as far apart as you can get and each is so much like the other. Opposing knights in chess may stand side by side looking identical, looking completely different, but, either way, lacking any obvious way to cross the line that divides them because that’s not how they move. The synthesis of those analogies is my understanding of the … reflection on reflections on reflections that I see in this play. We’ll hold up the mirror. in the face looking back at you from the mirror. The Mineola Twins was made possible in part by our sponsors' generosity! Kaelyn is thrilled to be making her Boston theater debut in The Mineola Twins. She is a recent graduate of Bard at Simon's Rock, the National Theater Institute, and Bard College's Berlin-based Devised Theater program. Since graduating, she has moved to Boston to pursue acting and physical theater. Her favorite recent productions include The Government Inspector and Live Action Set's UNset. Amanda is thrilled to be here, a role full of sadness and cheer. She likes to do plays for most of her days. All her love to Justin, her dear. Chris has appeared in Verily: A Galactic Holiday Celebration (Darth Vader) with Ragnarok Productions and Urinetown [the musical] (Tiny Tom/Dr. Billeaux) with Ghost Light Players. Other favorite credits include Richard III (Richard III), Antony and Cleopatra (Octavius Caesar), and the role of Witch/Light in the NYC premiere of The Witches of Macbeth. Jen has been working with Ragnarok Productions since its inception. She's excited to be making her mustachioed debut. Dawn is excited to be working again with Ragnarok Productions! Previous acting and tech credits include Ragnarok's Till We Have Faces; The Sound of Music; Tall Tales, an original play performed at The Edinburgh Fringe Festival; Wind in the Willows; Oklahoma! ; And Then There Were None; and Twelve Angry Men. She would like to thank Nathan for this opportunity and for continually challenging her to expand her repertoire of abilities. Jacob is delighted to be back at Ragnarok, in whose inaugural stage production they played a disembodied arm. When not wearing awful wigs (and sometimes while wearing DIFFERENT awful wigs), they sit on the board of Ghost Light Players of MetroWest. Jacob wishes to thank, as always, their de jure and de facto families for being endlessly supportive. Nathan is excited to be bringing Mineola Twins to the stage at the company he founded. He is the director of Ragnarok's first feature film, Tales from Shakespeare & Postscripts, currently in post-production. 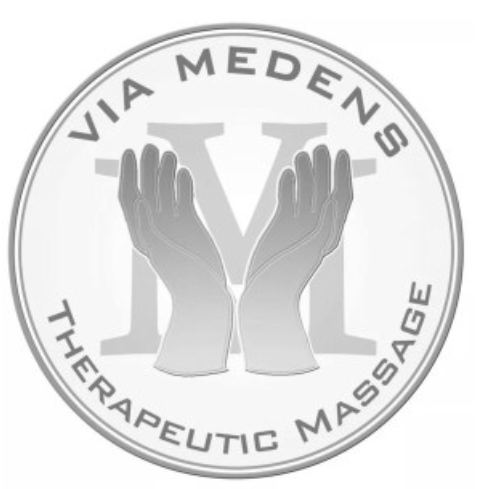 He also works as licensed massage therapist at his practice- Via Medens Therapeutic Massage in Quincy. He resides in Quincy with Lauren Scott, LMHC, to whom he has been married for ten years. Please let us know what you thought of this - our first digital play program! I like that it's eco-friendly! I like not having an extra piece of paper! I miss having a souvenir!